Educated at University College Dublin (Bachelor of Civil Law) and The Law Society of Ireland, he qualified as a solicitor in 1990, becoming a partner in one of Ireland’s largest law firms before establishing Simon McAleese Solicitors in 2002. 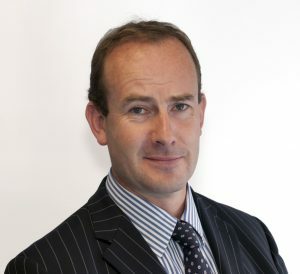 Simon is a renowned litigator, representing clients before the Irish Superior Courts in a wide variety of corporate and commercial disputes. He represents his clients tenaciously and always with a view to achieving their desired outcome as swiftly and as economically as possible. Simon’s name is a byword for media and defamation practice in Ireland. He is recognised by Chambers (Band 1 recognition) and European Legal 500 (Leading Individual). He has represented his media clients at Irish and European levels. He is sought-after for his pragmatic pre- and post-publication advices in relation to defamation, privacy and contempt of court. Ciarán graduated with a Bachelor of Civil Law (BCL) degree from University College Dublin and was admitted to the Roll of Solicitors in early 2008. His professional memberships include the Law Society of Ireland and the Dublin Solicitors Bar Association. Ciarán Maguire joined Simon Mc Aleese Solicitors in 2007. Ciaran is a skilled litigator, advising corporates, insurers and private clients in a variety of commercial and personal disputes. He also specialises in media law, providing advice in defamation, privacy, contempt of court and intellectual property matters. He represents a stable of publications and independent production companies in respect of all of their needs, from contractual and procurement matters to pre- and post-publication issues. Ciarán also has a wide range of experience in property matters, advising clients in respect of the acquisition, disposal and development of commercial property, commercial leases and the acquisition/disposal of residential property.